"This is for anyone and everyone. I think it should be taught in homes and even schools. Really it's a gold mine and at $15 it's a steal. Couples or individual counseling would be roughly $200 an hour and this price was for 3 hours. Bruce put a lot of work into this I see and if you go on the website and look up the conflicts tab there are several links to go further and have this info really sink in. That's my 2 cents, Yowza!" The pricing will vary depending on any number of factors, but as per our Mission, Vision and Mandate (About Us), our goal is to deliver a quality Growth Opportunity at an affordable price. Let's let the attendees convey the atmosphere! "Very friendly and non-threatening atmosphere!" "It is a very lighthearted, non-threatening environment with lots of laughs." "A great evening! Lots of laughs and contemplation!" The subject matter is serious and the information is vital, but the delivery and the environment is relaxed and fun. The Growthshops are designed for all types of personalities and the information is easy to comprehend and logical. Perfect for the guys!! Whether you are single or attached, you will meet everyone in the room in a completely organic manner. We will all learn about ourselves through amazing interactions with others, about subjects that are interesting and have the potential to impact our lives. "Thank you for an informative an enjoyable evening with a great crowd. I learned a lot about myself but most importantly how much more I need to learn to be a 'conscious partner'. I look forward to attending more events." Regardless of age, the best time to grow is right now. Whether you are hoping to learn more before getting into a relationship, looking for answers in your existing relationship, or starting over for your next relationship, the information that is presented will be logical, realistic and adaptable into your life right now. Have you been out dating and not having the success that you were hoping? Has it been harder than you thought it might be? Are you looking for an alternative to online dating? 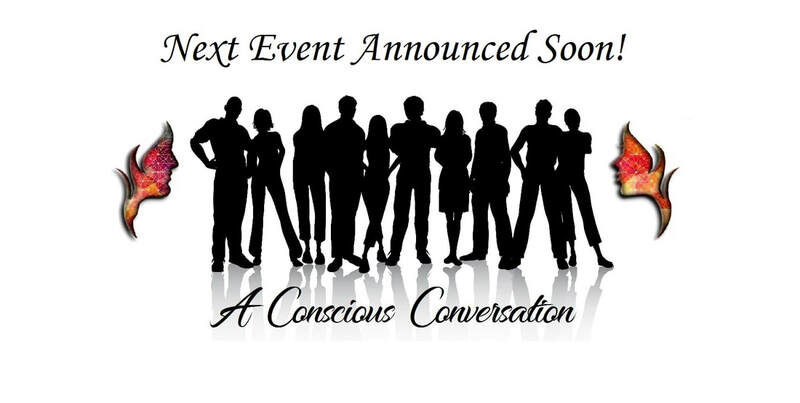 Our "Conscious Quest" growthshops are designed to give you an opportunity to witness some potential matches in a controlled setting where you are not just learning about them, but you are learning about yourself as well. If you want a growthshop in your city, contact us! We will set one up! YES, I want a growthshop! Are you in a new relationship? Still getting to know one another? The Growthshops are a great way to get to know someone that you are dating. There are 8 Conscious Connections and it might be a good idea to make sure you are connected in all those ways before making the leap into a long term commitment! In a long term relationship ? Relationships can be hard, but they can also be amazing! Are you and your partner looking for a way to understand each other? Improve your communication skills? Open some doors sexually? Have you looked at the "8 Conscious Connections"? We have a variety of growthshops that are being developed to do all that. Sign up now! (Calgary area) Scroll down for more information. If you want a growthshop in your city, contact us! We will set one up! YES, I want a growthshop! It might not be time to start dating yet, but it is the perfect time to start the recovery process and a GrowthShop is the perfect place to begin. Learn about what may have gone wrong in your past relationship and how to keep it from happening again moving forward. If you are divorced and starting to date again, a GrowthShop will help you to better understand what happened in your previous relationship and allow you to feel comfortable and confident moving into the dating world. "Even if you are not in a relationship; you will learn about yourself." "We need to have more access to this kind of information on communication." "At the end when Gisele was standing describing the styles and pointed at the word dismissive - I realized that was probably me. It made me stop and think and I have been pondering this ever since." "I learned a lot about myself but most importantly how much more I need to learn to be a conscious partner". Expand your city below for more information! What type of GrowthShop would you like? Are you looking for "A Conscious Partner"? Would you like to be "A Conscious Partner"? Whether you are single, dating, in a new relationship or a long-term one, an ACP GrowthShop will provide information that is sensible, relevant and easily adaptable to your current situation. It might be learning about how to handle conflict in a relationship, or understanding your attachment style and how it impacts your relationships, the events are fun, interactive and provide practical relationship tools that can be used to improve awareness and communication skills for you and/or your partner. Are you looking for an innovative team building event? An ACP Conscious Co-Worker event will provide your team with a fun, positive, interactive way to improve their awareness and communication skills both at work and at home. Whether it is during business hours, or after hours, we will design an event that will have your team energized. "Contact Us" for more information. Parents, as tough as your partner relationship is, your relationship with your kids can be even more complicated. A Conscious Family is one that communicates effectively, respects each other and understands how to handle conflict in a fair and effective way. If you have ever been to an ACP GrowthShop of any kind, you will see how we use fun and interactive group activities to allow the message to come across in a safe, yet efficient way. If you would like information on A Conscious Family, please "Contact Us." Are you ready to be a parent? Do you have questions, concerns? Wouldn't it be great to learn some of the parenting skills before you actually need them? At an "A Conscious Parent" Growthshop, you will be there with other parents, and we will all learn together how to better understand and communicate with our kids. Once again, these events are all fun, interactive and innovative. For more information, "Contact Us". Do you remember what kind of relationship advice and information you received from your parents when you were a teenager? Were you ever taught what it meant to "fight fairly" in a relationship? How that it is important to be authentic and transparent in your relationships so that you have a chance at being "happy"? An "A Conscious Kid" Growthshop is designed to help the kids learn about the world in a fun and interactive way, from people that they just might listen to because we all know that they won't listen to their parents!! If you would like more information, "Contact Us." Do you have a young athlete in your house that is looking for that mental edge? Our young athletes today are faced with workload and time management issues that can bog them down and create a stressful environment that can have a serious impact on their future. An "A Conscious Athlete" GrowthShop will help them to better understand the path they are on and learn effective ways to deal with all of the stresses that they will face along the way. For more information "Contact Us." Are you having problems maintaining your weight? Bad habits that you need to eliminate? Do you need some help understanding why you can't solve the issues that you face? Self-esteem issues? Would it help to realize that you are not alone? There is a path to get to where you want to go, you simply need to start moving forward. For more information "Contact Us." Wouldn't it be great to KNOW that you and your partner are a great match in all ways BEFORE you get engaged? Do you have a child that might need some help to make sure that they are making the right decision? A Conscious Courtship is a series of events that will take the happy couple through all of the aspects of a relationship that they should be aware of before the commitment gets too complicated. Whether it is learning how to fight fairly, or understanding all of the other 8 Conscious Connections, and getting to know and understand how to communicate effectively, the couple will have a much better understanding of what they will be facing, and who they will be facing it with. For more information "Contact Us." Would you like to learn and develop the tools that will help you keep your relationship on the right track? Whatever your age or the length of your relationship, there are so many ways that adding awareness and communication skills will help to make the bond stronger. For more information, "Contact Us." Nov 6, 2018 - Thanks Giselle and Bruce for providing an opportunity for growth and self reflection in a fun and safe environment. I very much enjoyed the evening . Nov 6, 2018 - I am so looking forward to the growth seminars as well. Thank you to both Giselle & Bruce for your dedication and hard work. Nov 6, 2018 - Thank you to both of you for reminding us all of the importance of prioritizing and initiating meaningful conversation. Especially for those of us whom are not the most skilled conversationalists! Nov. 6, 2018 - Another informative evening with a little fun along the way of being inducted into the "where the heck are we now club with an ugly baby that should have been put back" haha. Thanks Bruce and Gisele for organizing this event and all the work you both do for this group. Looking forward to our next event. pretty heady material. Great job!! Aug 13, 2018 - I had a wonderful time & learned so much. Meeting so many wonderful people. Thank you!! great way to learn about ourselves! Aug 13, 2018 - Very well organized, and a fun way to gain valuable information with a lot of really great people. Aug 13, 2018 - I am always amazed with what I learn at these Growthshops! It was a very enjoyable evening! Aug 13, 2018 - Had such a good understanding of who I am tonight and the series is so interesting.
" It was a fantastic way to put down your phones and have authentic conversation"
" We learned SO MUCH"
I enjoyed the evening. Made me think about areas for personal growth and development. Really enjoyed the safe environment of like minded people. Looking forward to the next one. "I loved it!!!!! So much fun and wow how much you learn about yourself and others"
"I agree. Did not think I would take away as much as I did"
This was a great evening and discussion. An excellent topic for some lively discussion and conversation with an interesting and fun group of people. Looking forward to the next meet. "It was awesome! So much fun. I know I'm definitely going to attend more"
"It was great. Learned a lot and met like minded people"
"It is a great way to gain insights into ourselves and how to be a better partner"
"Fun, informative, and a great way to meet new people"
"It was amazing!! I loved it, tip of the iceberg tho - I can't wait to learn more!" This meet up was truly amazing . It was greatly facilitated and in a great atmosphere . I went because I am single and have been for awhile . I didn’t have a plan or a goal in mind except to be myself and go out of my comfort zone to learn more about me . We need to look at ourselves to do better for us before we can be in a relationship. I met some great ppl and had a fun time . I never felt pressured and it was great to see singles and couples there . I will definitely return soon. "Very interesting topics and approaches, that were fun to participate in"
"Yesterday I felt I was learning in a fun way and I loved it!" When Gisele was standing describing the styles and pointed at the word dismissive - I realized that was probably me. It made me stop and think and I have been pondering this ever since. I had a great evening of learning and meeting very nice people! Thank you! Very thoughtful planned and systematically executed event. Both educational and entertaining. Well done. Thanks very much Gisele and Bruce for your hard work. Thank you very much for an entertaining yet informative evening. Had a wonderful time. Bruce & Gisele thank you for an informative an enjoyable evening with a great crowd. I learned a lot about myself but most importantly how much more I need to learn to be a 'conscious partner'. I look forward to attending more events. That was a great evening, fun but informative. Thank you. Very good meeting, reminded me I need to restart working on myself. Good topic, well presented. Great discussion. Great! Thanks Bruce and Gisele for a fun, very creative and informative workshop! Nice to meet like-minded people. It was amazing!! I loved it, tip of the iceberg tho - I can't wait to learn more! It is a great way to gain insights into ourselves and how to be a better partner. Fun, informative, and a great way to meet new people. Such a great event and meaningful topic. As usual Bruce and Gisèle did an excellent job at facilitating! It would be tragic for anyone of us to have left after the discussion we had on Wednesday evening and think we are perfectly fine the way we are, but it is the rest of the world that is messed up. July 29, 2018 - Thanks for putting this event together - I enjoyed meeting folks and the good conversation. July 29, 2018 - This event was fantastic! Thanks so much for setting it up! July 29, 2018 - Thank you, Bruce, it was wonderful afternoon of getting together, learning something new, and having fun. July 29, 2018 - Thank you Bruce for setting up this very good event! It was a fun way to meet new people, have good conversations; and to be more self-aware and learn about others. July 29, 2018 - Thanks for creating a forum for such interesting conversation. I had a lively and enjoyable afternoon. Bruce is developing very interesting concepts and I look forward to finding out what comes next. Bruce is a great host! So fun and a good learning experience. Good fun, good learning. Great way to meet people. Will definitely go again. I really enjoyed the presentation. I learned a lot about how to interact with other people. The time went very fast , with all the interaction and fun games. I can’t wait to go to another one of his presentations. So fun! Also, very interesting to learn from others and gain problem solving skills from their unique perspectives. This is for anyone and everyone. I think it should be taught in homes and even schools. Really it's a gold mine and at $15 it's a steal. Couples or individual counselling would be roughly $200 an hour and this price was for 3 hours. Bruce put a lot of work into this I see and if you go on the website and look up the conflicts tab there are several links to go further and have this info really sink in. That's my 2 cents, Yowza! So much fun yet again; sure hope to make the next one! July 28, 2018 - Another fun and eye-opening event - as always! Very positive, comfortable space for everyone to share thoughts and learn about relationships. July 28, 2018 - Awesome evening! Great fun. So interesting to hear and share perspectives. Great learning. July 28, 2018 - Another great event! Meeting new people and learning about self in a non threatening venue. Male perspectives helped me learn about myself! Can't wait till the next one! Excellent workshop once again. Even if you are not in a relationship; you will learn about yourself. Bruce is such an excellent facilitator/coach. If you have never attended you are missing out! Another fun and insightful session. Very informative and interactive. Great to hear all the perspectives - from both males and females! This was a very informative meet. We need to have more access to this kind of information on communication. A huge percentage of the population needs to learn how to communicate with consciousness. If you weren’t there you missed a fantastic evening. Fun, interactive, uplifting. The facilitators were excellent and very funny. Would be nice to have more men in the room to get a different perspective on the topics. Very friendly and non-threatening atmosphere! A wonderful evening with lots of good laughs and sharing of ideas and experiences for the purposes of understanding different perspectives. Great for anyone who desires to embrace the best in life! This was a great time! Really fun, interactive and interesting. It was facilitated by men and it would have been good to have more men attend to have more male viewpoints. It is a very lighthearted, non-threatening environment with lots of laughs. Great opportunity to grow and learn. A great evening! Lots of laughs and contemplation! The Male hosts were dynamic and tried to represent the Male species! A comfortable place for anyone male or female to learn about each other with light hearted humour! Will definitely go to another! Fun and light hearted way to learn about relationships. We need more men to show up so we can get their perspective which is something i want to learn about. Can't wait to go to the next one. Bruce is excellent in how he integrates games to get to know one another. you experience a lot of aha moments!. Aug 5, 2018 - Bruce came to Lethbridge to do an introductory group. He presented information in an interactive and fun yet thought provoking way. There were many “aha” moments and we look forward to him returning. These GrowthShops will benefit anyone who wants to improve their relationships regardless of their age or relationship status. I’m bringing my daughter to the next one! Oct 28, 2018 - Necessary for life's journey for everyone whether young, middle age or older. Helps one understand and make sense of their life choices made thus far. Oct 27, 2018 - Knowledge is power. Used efficiently brings more simplicity therefore more happiness. And these classes are a lot of fun. Oct 27, 2018 - Excellent and easy to do for most people - this is from a clinical perspective. Oct 27, 2018 - Whatever your relationship goals, these sessions are a really fun way to grow in the company of good people. Oct 27, 2018 - We attended a workshop by Bruce last weekend. He is a very good presenter and workshop style is very open and relaxed. Very reasonable price too! I would recommend checking it out. Sept 30, 2018 - Enjoyed every minute of it! Sept 30, 2018 - Thank you Bruce for introducing us to “a conscious partner” and “attachment styles.” The information provided reinforces the fact that all healthy relationships start with self awareness. In discussion, it was particularly helpful to hear the male perspective on relationship issues. It was a unique opportunity for self growth in a fun, safe and stress-free environment! Sept 30, 2018 - Do I want to be happier in my relationships? You bet. Engaging with the group activities Bruce provided helped me see some of my “unknown unknowns” that keep me going around in the same circle in relationships. That growth now means hope for something better. Sept 30, 2018 - Very enjoyable and informative. I highly recommend this meetup. Sept 29, 2018 - Bruce structured the "growthshop" so that everyone present could easily engage in a light-hearted way with some very important issues pertinent to all relationships such as self-knowledge, conscious and positive communication, the many dimensions of good relationships and much more. Three hours went fast with lots of interaction and discussion in small groups. Sept 23, 2018 - Thanks Bruce, you gave us a lot to think about and to start putting to practice. We hope to see you back here for more growth shops in the near future! Sept 22, 2018 - It was a fun night with nice people,a lot of info to process but worth it. "I went to my first event last weekend and I really enjoyed it. The value and worth of the exercises as well as the vision to do this in a fun and interactive way makes the learning so refreshing and welcoming. It's a also a great way to meet others like oneself who's focus is to grow and become better in order to create healthier relationships. I've also been reading through a lot of the website and I love it! We need this message to foster healthier relationships all around, from co-worker to family to partner. The research and content is so valuable. I look forward to attending future events!"